A very Happy Easter from us all at the Wooden Toy Shop! Weve had a wonderful weekend here at WTS headquarters not only have we been celebrating Easter with the arrival of lots of new products ( & eating lots of chocolate! ), April the Giraffe finally gave birth to a cute baby boy! 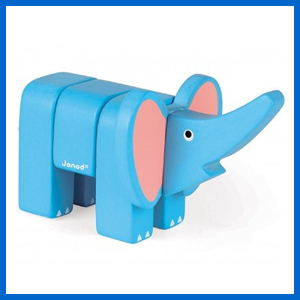 We think he would love to play with our baby giraffe wooden toys! 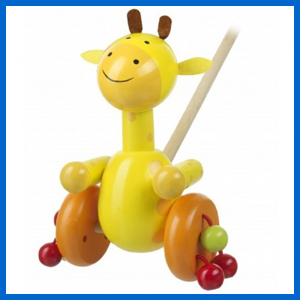 If your baby giraffe is just learning to walk, this push along toy is ideal! 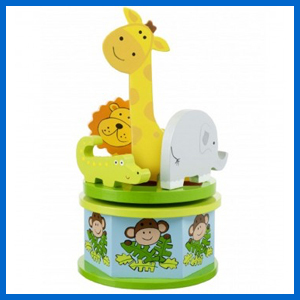 OA beautiful, hand painted safari music box featuring a friendly giraffe. 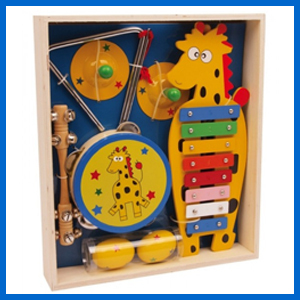 Introduce your little one to music with our giraffe themed music set. 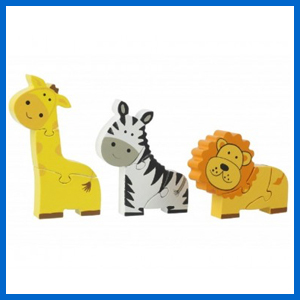 Three mini safari puzzles that are perfect for little hands. A nature themed flower bread frame, perfect for little ones! 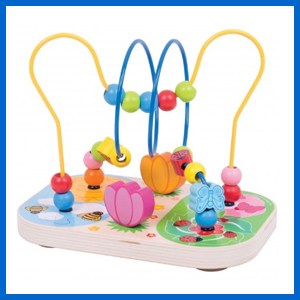 A colourful flower themed counting & stacking flowers toy. Choo Choo! A 108-piece railway set that will provide hours of fun! Our rural rail & road set comes with 80-pieces. 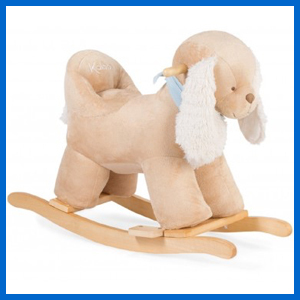 A beautiful rocking puppy from French toy maker Kaloo. 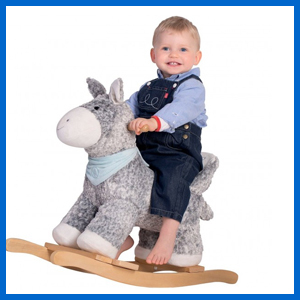 This super cute rocking donkey is covered in super soft fabric. This is one stylish turtle trolley & walker! 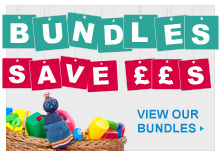 Wooden blocks included. 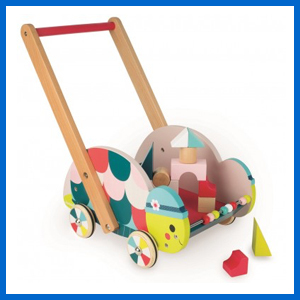 This is one stylish turtle trolley & walker! Wooden blocks included. This entry was posted in Random, Updates, Wooden Toy News, News on April 24, 2017 by Kerry Berry. Here are our top NEW ARRIVALS for this week. 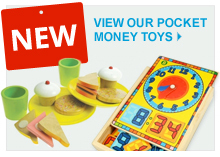 Visit WoodenToyShop to see our wonderful range of Children's Wooden Toys. 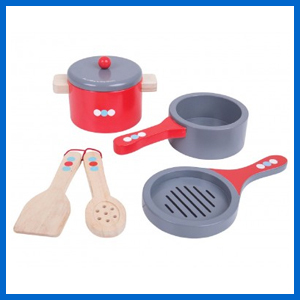 Little ones will have fun with our realistic Wooden Food Mixer Set & is a fantastic addition to our play kitchen& pretend food sets. 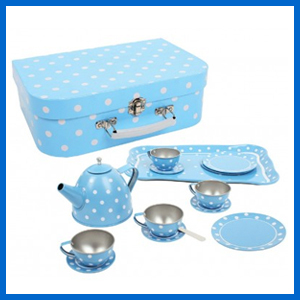 Our stylish, 15-piece Blue Polka Dot Tin Tea Set is presented on aserving tray & simply stores away in its matching polka dot carry case. A wonderful 20-piece Wooden Dinner Set consisting of plates, mugs, forks & lots more! 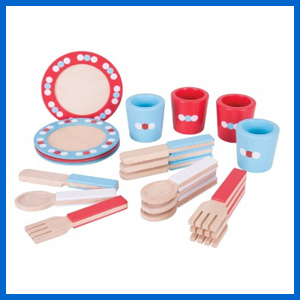 Whip up something special with our Wooden Cooking Pans Set; fantastic for encouraging pretend play. 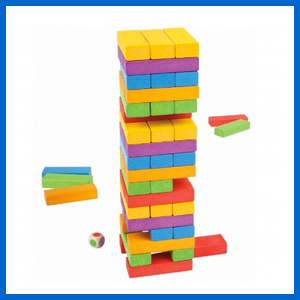 A colourful Wooden Stacking Tower Game that can help develop hand-eye coordination & colour recognition. 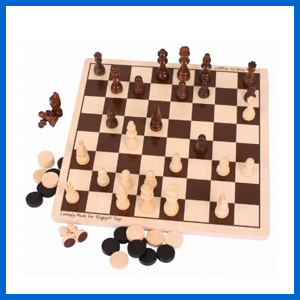 Our traditional Draughts & Chess Set is ideal for teaching children strategy & problem-solving skills. Glide the beads up & over, around the corners & curls. 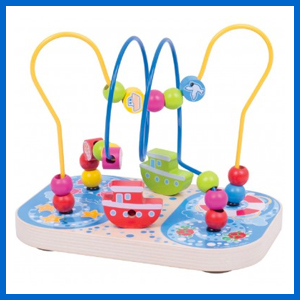 Children will have lots of fun playing with our Wooden Marine Bead Frame. 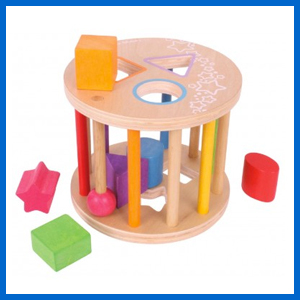 Our colourful Rolling Shape Sorter is a wonderful toy that will help children to shape sort & colour match. 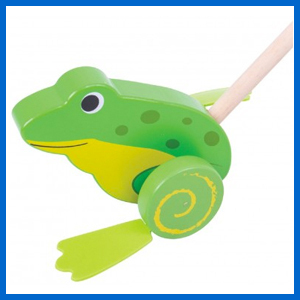 Our hand painted, colourful Push Along Wooden Frog flaps his feet as he is pushed along! 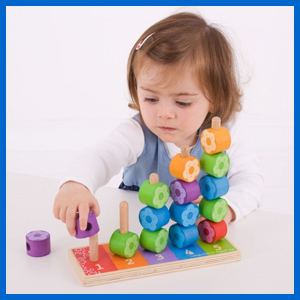 Children will love to learn all about fairies & shape matching with our Four Piece Wooden Peg Puzzle. Time for Butterfly Fun! 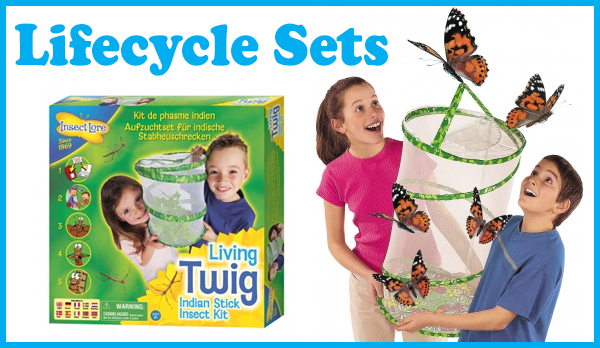 These kits are great for use at home & our larger classroom butterfly kits for schools. Children love the excitement of watching their caterpillars get bigger and bigger until they form a cocoon. Seeing the butterflies when they emerge is a truly magical experience for any childor adult!!!! This entry was posted in Updates, Wooden Toy News, News on April 3, 2017 by Kerry Berry.